There is a reason why Isa Chandra Moskowitz is the “Queen of Vegan.” Everything she does is brushed with gold & awesomeness! For this reason, I felt a little starstruck when meeting her at VVC, but she is so cool & humble! For years, I’ve relied on her countless cookbooks & The PPK to provide me with inspiration & motivation to cook vegan meals. I’ve never recreated an Isa dish that was unsuccessful. Her recipes are flawlessly written, easy to execute, & always delicious. 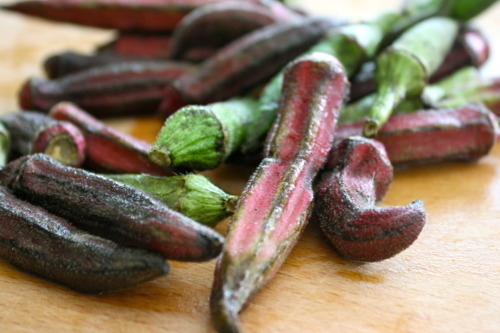 When I saw that I was getting okra from my CSA, I had to brace myself a bit. I’m an okra newbie. After trying it for the first time last year, I was no longer scared of this strange slimy little veggie, but still not convinced it was for me. Enter The PPK! 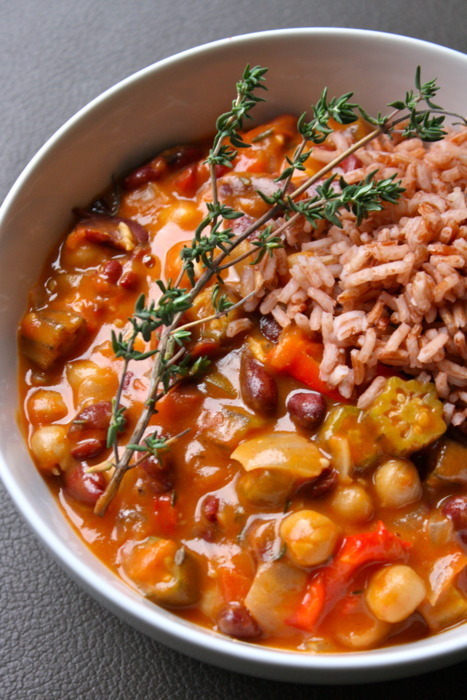 Just about the time I learned of my okra fate, like an Angel from Heaven, Isa sent a recipe to my inbox: Okra Gumbo with Chickpeas & Kidney Beans. 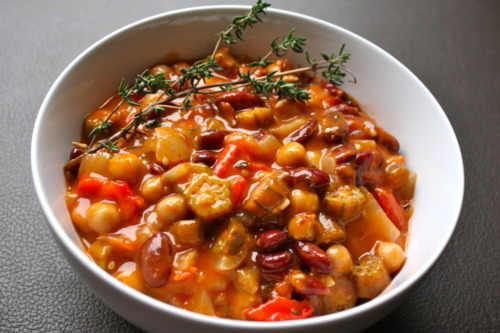 A thick & tangy stew filled to the brim with veggies straight from the garden & two kinds of beans. A toasty roux, fresh tomatoes, plenty of onion & garlic, fresh thyme, & of course, okra. 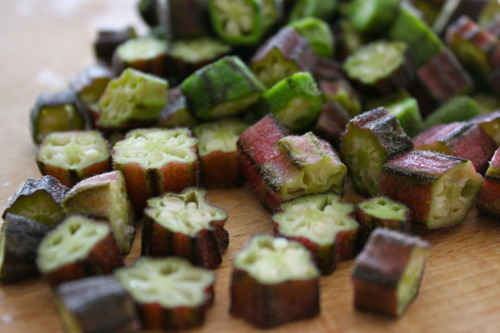 If you’re an okra newbie, or maybe just afraid to cook with it, this is a great recipe to start with. I use lots of veggie broth to thin the roux & cook the okra, & then reduce it with a long simmer, making for a thick velvety sauce that is not at all slimy. Isa mentioned using “pink rice” in her recipe, & I just so happened to have some (from Lotus Foods) on hand thanks to my VVC swag bag, so I used it too! The flavors here are simply marvelous! Smoky, warm & comforting. This was my first time cooking with smoked paprika, & wow was it potent! 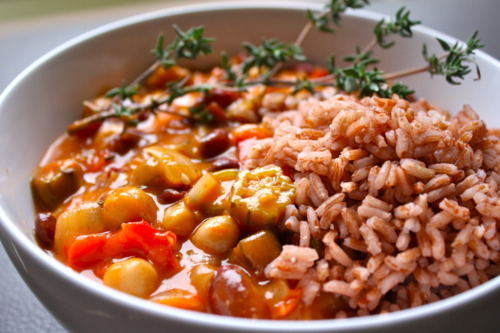 The veggies & beans are melt-in-your mouth tender & the sauce was just as velvety as Isa promised. This dish is the perfect liaison into the flavors of Fall. A keeper for sure!